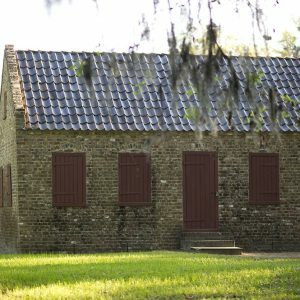 Nine slave houses still remain at Boone Hall and form one of the few remaining slave streets in the state. The houses date from 1790 to 1810, and two of them display exceptional brickwork and feature diamond shaped patterns unusual in South Carolina. The nine slave houses are survivors of approximately 27 slave houses at Boone Hall, and the nine survivors are believed to have been for house servants. Tours of the slave houses are available at Boone Hall Plantation and Gardens.